A family of five will now have to find another source of income after their tire shop in the East Bay completely burned down early Wednesday morning. Pete Suratos reports. A family of five will now have to find another source of income after their tire shop in the East Bay completely burned down early Wednesday morning. Contra Costa County Fire Protection District were on the scene of a 2-alarm fire at Saeed Bro Tires which was reported around 2:20 a.m. in the 3900 block of Main Street. 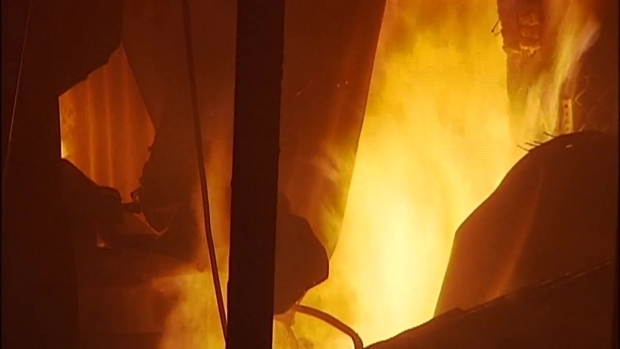 A number of tires were on fire when firefighters arrived and the fire spreaded to two businesses nearby, a gym and a heating and conditioning business, according to fire officials. The brother-in-law of the tire shop owner, Sam Nijjar, arrived at the scene and told NBC Bay Area that the family emigrated from Pakistan eight years ago. They started the business three years ago and five people depend of it. 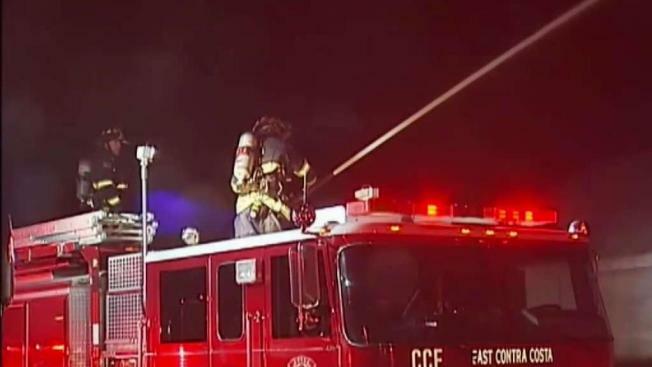 Contra Costa County Fire Protection District crews were on the scene of a 2-alarm fire at a tire shop in Oakley early Wednesday morning, according to fire dispatch. "They're crying. Everyone's in Sacramento. They just called me," Nijjar said. Tires outside the shop somehow caught on fire and the flames extended into the building. It took two hours to put out fire, according to Contra Consta Battalion Chief Ross Macumber. The owner of the Delta Bootcamp next door, Gabe Reyes, said his gym is significantly damaged. "Our biggest mantra is that there are no excuses. Something doesn't have to be your fault to take ownership of it. So it's just gonna be another challenge. In a weird way, it's kind of embraced. " Reyes said. No injuries were reported and the cause of the fire is under investigation, officials said.